In July we embarked on the Rubbish Diet! The starting point with what goes into your bin, is what you buy in. 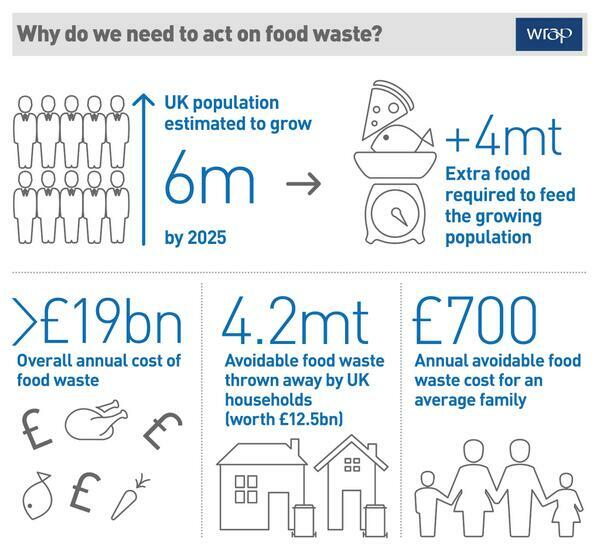 The figures on food waste are mind blowing: between 20 and 40% of fresh food (fruit, vegetables and bread) doesn’t even find its way into your trolley, and approximately 1/3 of what people buy ends up in landfill. So the first part of this month’s challenge is to buy only what we need and use up food. 1. Plan your meals and portion sizes in advance (“planners” will find this bit easy). 2. Shop in local shops and buy in “just enough”. 3. At the shops and the supermarket, be realistic about the amount that you and your family actually consume. Avoid “2 for 1” offers on perishables! If you know you tend to over-buy at the supermarket, take 5 items out of your shopping trolley before you reach the checkout. 4. Know your date labels: find out the difference between “sell by”, “use by” and “best before” dates – the Love Food Hate Waste website gives clear guidance on this. 5. Check out some tasty recipes for using up any languishing fruit and veg, eggs, dairy and bread, such as bubble & squeak, soups, risottos and pasta sauces, cakes, fruit compotes or baked fruit topped with yoghurt are traditional examples. The next part is to compost – I am amazed by how much my black bin outgoings have shrunk since we got our compost bin in February and it is not yet one third full. If you managed to order or build one last month then you can get started straight away. 6. You will get all the guidance you need with your bin, but essentially find the right spot in your garden to site it. If you place it directly on soil there’s no need for anything except for perhaps a wire mesh if you have one. If it’s on hard standing, you may want to kick the process off with soil, or compost you have lying around to get some worms into it. 7. Worms are your friend – rubbish goes in, nutrient rich compost comes out. Pop them in if you find a stray and, if you have children or grandchildren, building a wormery with them will be a great wet weather activity and they will love it (even if you don’t!). 8. A 50-50 mix of “green” (vegetable peelings, tea bags, coffee grinds) and “brown” (shredded paper, egg boxes, cotton and wool) will give optimum results. Check out the resources below for full lists of what’s “in” and what’s “out”.